As Primland Resort executives and golf architect Donald Steel settled on a piece of land for a new golf course on top of the mountain of the 12,000-acre property, there was what now seems like a silly concern. Especially since most golfers who have logged a round at the award-winning Highland Course at Primland would likely drive to the other end of the earth to play it again … and again. 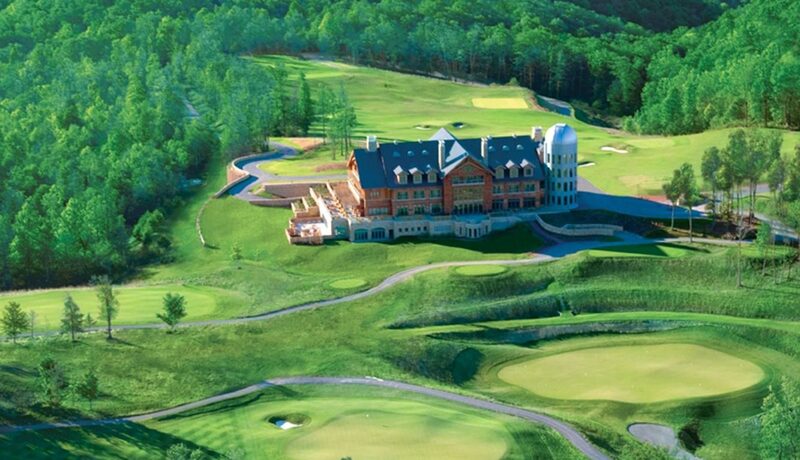 A “round of golf” is replaced by a “golf experience” when you tee it up at The Highland Course at Primland, which is celebrating its 10th anniversary in 2016 as one of the truly remarkable recent additions to the golf market — not only on the East Coast — but across the United States. Many golfers at Primland don’t keep score. 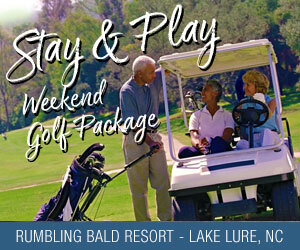 No need to as golf seems secondary at times to the layout’s breathtaking views that rival any along the nearby Blue Ridge Parkway. “The beauty of the course brings you back to reality,” said Primland head professional Brian Alley. “The score is not the topic when people come in after their round; it is the views. And to think one of the most unique courses constructed almost didn’t occur. Steel came over from England more than a decade ago to tour the vast property, which has an expansive valley floor. But that area has for years been used for various hunting activities at the resort (and still is one of the 60 activities), so Steel was running out of options to locate golf before the idea was floated to take a ride up the mountain. “In Scotland, they have courses up in the mountains, but they are 9 holes and not very long,” Steel said, noting that he expected to see a steep, rocky and virtually unusable canvas. But Helms was taking Steel to a piece of the property at 2,900 feet that was once a peach orchard in the early 1900s and was selectively timbered 25 years ago. As Steel and Helms weaved their way along some old ATV trails and through the thick forest the potential became a reality to the golf course architect. Most of us in this area associate brilliant golf course architecture with Donald Ross, not Donald Steel. But while Steel only has four layouts in the United States, his reputation across the pond is well cemented, having been the resident architect at St. Andrews. The connection to Steel was simple, but in retrospect a stroke of genius by Primland founder Didier Primat, who has since passed away. Steel built a golf course at a castle owned by Primat outside of Dublin, Ireland, so when Primat decided to move on a golf course at his U.S. property he telephoned Steel. Still, there were gorges, hollows, streams, peaks and valleys, 200 feet of elevation change, along with tons and tons of dirt to move. Steel says no figure was put on the amount of dirt moved because it was incalculable. It’s a credit to Steel that there are no “funky” mountain holes at Primland, and just one or two blind shots. His gargantuan greens fit perfectly into the expansive landscape and offer a putting paradise – or for some three-putt hell. Now retired and 78, Steel still returns to Primland at least once a year to chat with anyone who will listen about his remarkable work. “It is very cool Donald comes back,” Helms said. “Donald may not be as big as some of the other names in golf course architecture, especially in this part of the country, but there is uniqueness to our course. Having Donald do the course brought us some of those European characteristics. Just look at the tall flowing fescue, the deep bunkers – there are a lot different things you’re not going to find in this part of the country. “It has kind of been somewhat of a crown jewel for him and he’s very proud of the accolades he has received for this layout,” added Helms. Not many “golf” changes have occurred since the June 1, 2006, opening of The Highland Course. But plenty along the perimeter have enhanced the beauty and “golf experience” which follows a 360-degree route around the Dan River Gorge. That means no view is the same. It also meant trees had to be selectively cleared to open up additional views through the years that stop golfers in their tracks. The first hole, a par-5, sets the tone. A slightly uphill drive to a gap in some blasted rock takes you to a crest of a hill that opens up to a downhill second shot (which is reachable) and the first spectacular view of the Pinnacles of the Dan. For example, this past winter, Helms was encouraged by others to take out a few trees on No. 7, which he initially balked at. But he relented and now from the tee box on a clear day a view of downtown Winston-Salem, more than 50 miles away, can be enjoyed. Some of the drops into the gorge to the Dan River measure 1,500 feet. Even though The Highland Course at Primland is a decade old, it attracts as many newcomers as repeat customers, many of whom are about to discover God’s gift to golf. The drive from many locations in the Triad area is less than 90 minutes. Primland’s awards – both for the golf course and the resort itself — are too numerous to list, but it is generally regarded as one of the top three resorts in the South. Helms says “golf was really the evolution” that got the wheels moving to expand the resort to world-class status. “The golf course opened in 2006 and the lodge didn’t open until 2009. But once the lodge got here people saw the level of quality that was put into the golf course and the facility here,” Helms said. The resort then opened its spa in 2010, its first tree house in 2011, two more tree houses in 2013 and the Pinnacle Cottages in 2015, giving Primland 65 units on property of varying size and price points. There is occasionally talk of a second golf course being built at the resort, Helms said. But how could you top The Highland Course?